The lottery is considered a once in a lifetime chance to become instantaneously wealthy. However, the most scrutinized part of a lottery machine is how it picks the balls. Is there a trick behind it? Does it favor specific numbers? While the lottery brings suspense and glamor, it pays to know the technology behind it. 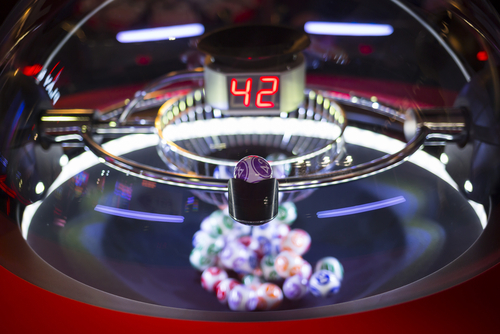 In this post, you’ll learn about how a lotto machine works. The blockchain is the most promising solution to security issues and lack of transparency. It is immutable and transparent, allowing operators to create a more reliable and foolproof way to verify users online. On the other hand, Big Data or data analytics drive comprehensive and real-time analysis of the lottery landscape. It seeks to meet the needs of prospective and existing lottery retail chains. The two types of lotto machines include air-mix and gravity-pick, which are designed to use statistical analysis, thus producing random number combinations. Gravity-pick is the most secure and fair lottery machine. It’s used in major lotteries, like Mega Millions, Canada Lotto 649, Powerball, and EuroMillions found at LottoGo. This lottery machine provides peace of mind and confidence to the viewing audience while the lottery draw is being televised. The balls remain visible while the machine mixes the balls during the lottery draw. It means that the balls don’t disappear inside chambers or tubes. It is perceived as more secure than the lottery air-mix machine. This type of lottery machine involves using solid rubber balls. In a chamber, the rubber balls are dropped. The paddles mix and spin the balls and the correct number of balls pass out of the chamber, one at a time. At the bottom of the mixing chamber, the lottery operator opens the sliding door, with the balls passing through a clear tube and display area. Another type of gravity-pick machine is the optical sensor. It detects the passage of the balls, which only allows the correct number of balls to pass through the doorway. Another type of lottery machine is the air-mix, which uses ping-pong balls painted with numbers. The weight and size of the balls are carefully measured or calibrated to make sure that all are equal. The balls are released into the lottery machine, allowing jets of air to blow the balls up through the chamber for mixing. The lottery operator opens the air-mix machine valve, allowing air out of the machine going through the tubes. The balls pass through the tubes as the valve opens. The balls are transferred through the clear tube into the display tray for reading. Mega Millions and Powerball Lottery Draw are two of the most sought-after lottery companies in the United States. Both lotteries ensure the security, including cybersecurity for online lottery, and fairness of each lottery draw. Mega Millions uses two separate lottery machines per draw. Every machine has its own ball set, wherein one machine is used for the Mega Ball, and the other for the main numbers. All steps, from start to finish, in the pre-draw process, are videotaped for about 3 hours. Powerball uses two machines per lotto draw, which are gravity-pick machines. One machine is for drawing the main numbers and another for drawing the Powerball. Each Powerball lottery draw has two different ball sets. One set for the white balls (main drum) and another set for the red balls (Powerball drum). The balls are calibrated regularly to ensure there’s a negligible weight difference. For every lottery draw, security is an important factor. That’s why authorized draw officials only access lottery machines stored in a secured location. One of the hottest technological trends foreseen in the next few years is artificial intelligence or AI used in the lottery industry to ensure smooth lottery operation and utmost security, most especially online lottery. Lottery machines are randomly chosen. External auditors verify the lottery machine selection. Each lottery ball is checked to ensure 100% randomness with equal chances of being drawn. All lottery machine tests are administered by lottery draw officials and a third-party auditor. Lottery machines work using state-of-the-art technologies through sensors and videos approved by authorized lotto officials. Security and fairness are the main reasons why lotto machines undergo strict verification and innovation, which is done to ensure that the lottery industry has a continuous flow of revenue, as well as to gain public trust.